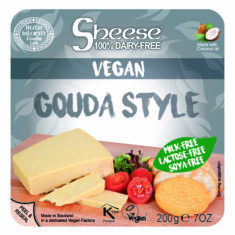 Gouda Sheese is the other dairy free alternative to cheese inspired by the Netherlands (the first is our Edam). It’s a tangy aromatic Sheese which is ideal with potatoes, in pasta sauces and gratins (a savoury crumble made with bread crumbs & Sheese), or shaved over sprouts. Perfect grated on pizza or into mashed potato, it’s also wonderful accompanied by an Oak-aged New World Chardonnay while you’re reading the following piece of History: it is thought that Gouda is named after the Van der Goude family, which also gave its name to the Dutch city of Gouda. During the 15th century the city was as big as Amsterdam. Happily, our Gouda fits in your fridge, and is lovely on rye bread or toasted onion bagels! 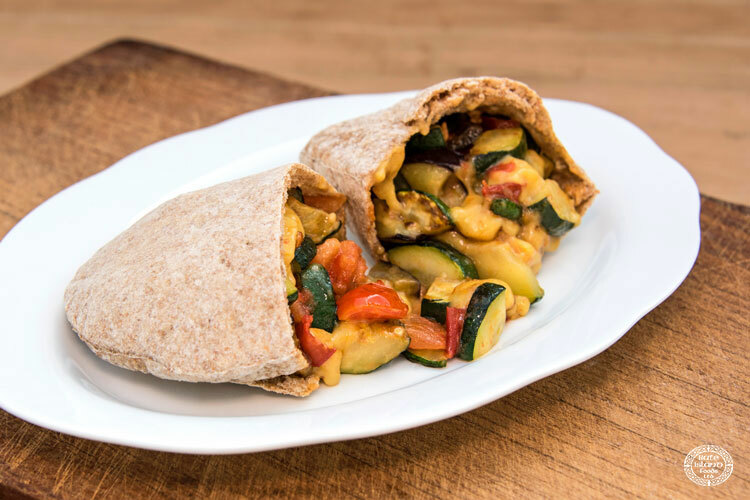 Be sure to pop by our vegan recipes page for some inspiration on how to complement your cooking with this cracking Sheese! Water, Coconut Oil (21%), Modified Potato Starch, Maize Starch, Gluten Free Oat Fibre, Modified Maize Starch, Thickeners (Carrageenan, Guar Gum), Salt, Natural Flavourings, Acidity Regulators (Lactic Acid, Sodium Lactate), Yeast Extract, Colour (Mixed Carotenes).